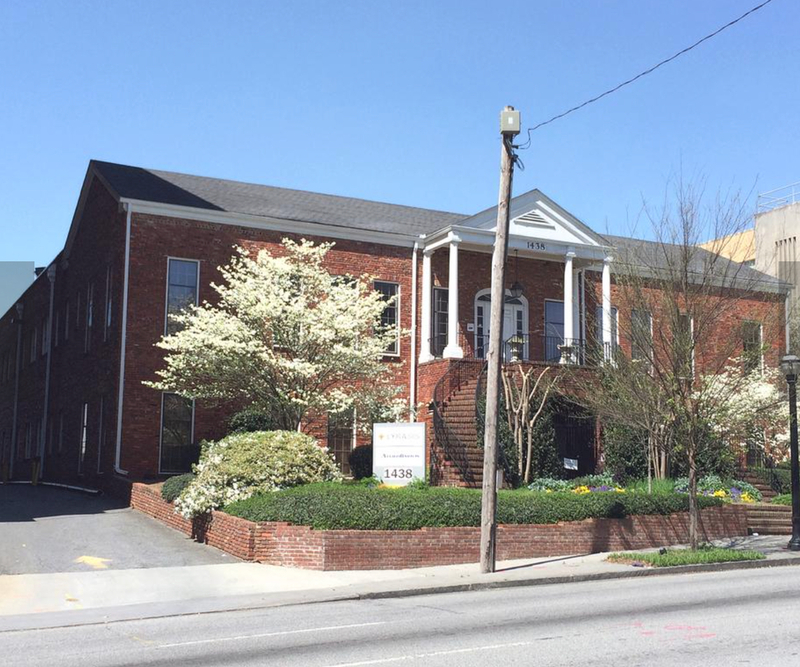 Atlanta loft office developer Parkside Partners is planning an $8 million modernization of an aging low-rise building along West Peachtree Street — the latest in a series of “adaptive reuse” projects sweeping across Midtown. The building is overshadowed by Midtown’s gleaming office towers and newly repositioned mixed-use projects such as Atlantic Station. 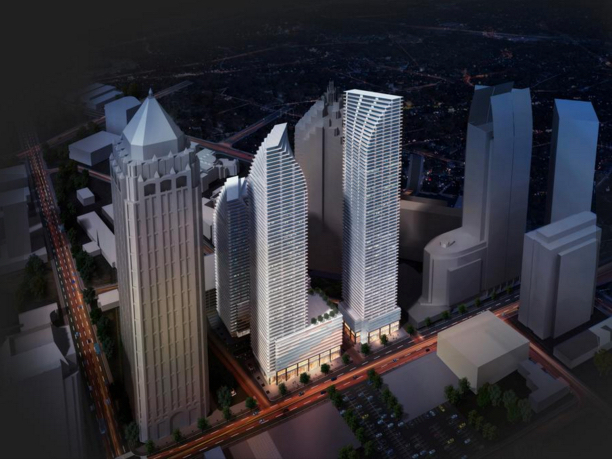 But, the property’s obscurity compared with higher-profile undeveloped sites such as the Symphony Center tract near the Four Seasons Hotel Atlanta is also part of what makes 1438 West Peachtree attractive, developers say. A few blocks south, Parkside Partners is already planning a similar adaptive reuse project of a building at 16th Street next to the former Trump Towers site. That $12 million overhaul will be called 16th Station. 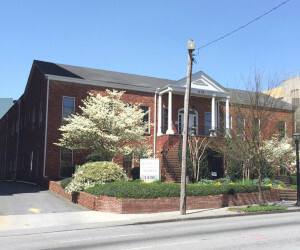 The goal of both projects: provide creative office space in high demand from firms that want to be in Midtown, near MARTA, Georgia Tech and amenities such as Piedmont Park and the Atlanta Beltline, said Parkside’s Eli Green. Parkside isn’t alone in scouring Midtown for diamonds in the rough. Atlanta real estate company Carter is remaking Midtown’s former J.C. Penney Co. regional headquarters building into a hub for co-working space and fledgling technology companies. 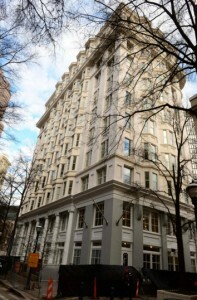 Carter, in a joint venture with private equity firm Pacific Coast Capital Partners, already has at least one undisclosed tenant signed to a lease in the 10-story building just north of the Fox Theatre, the Georgian Terrace hotel and Hotel Indigo at 715 Peachtree St.
Matt Delicata, a vice president with Carter, said loft-office projects such as 715 Peachtree increase competition for landlords of traditional Midtown high-rise towers. “There is more out there for tenants to choose from,” he said. 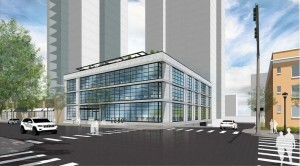 More adaptive reuse projects are being launched as the construction of new office towers without an anchor tenant remains difficult for some developers, said Josh Hirsh, a senior managing director with real estate services giant Jones Lang LaSalle Inc. Premium Midtown land prices caused by multifamily projects is one hurdle, he said. Prices have climbed to at least $8 million an acre across parts of Midtown. Soaring construction costs is another challenge for developers, he added. For example, the cost to build a new trophy intown office building has risen to slightly more than $400 a foot. By contrast, Carter is redeveloping 715 Peachtree for about half as much. More tenants are also demanding a different type of working environment from the garden-variety office. Consider Ponce City Market, the redevelopment of the former 2-million-square foot Sears building on Ponce de Leon Avenue in the Old Fourth Ward neighborhood next to the Atlanta Beltline. 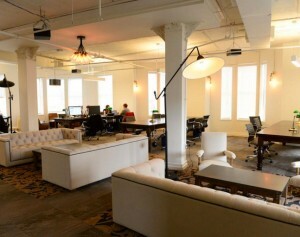 The former brick warehouse now features loft offices, apartments and a food hall. 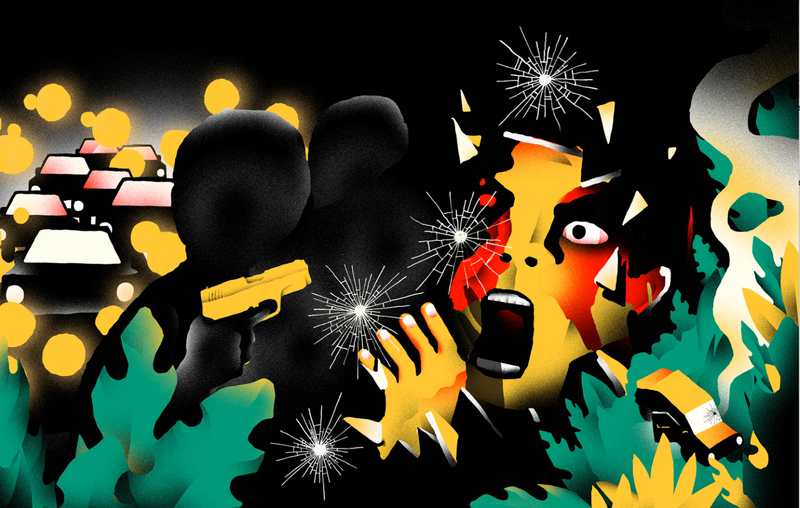 It’s already landed several creative-class companies. 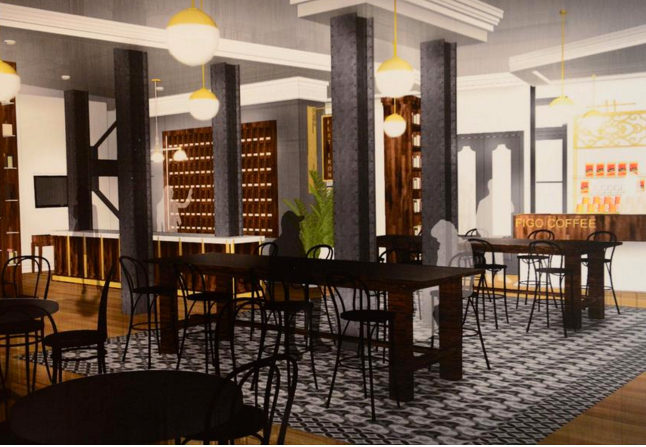 Parkside is striving for that at 1438 West Peachtree. 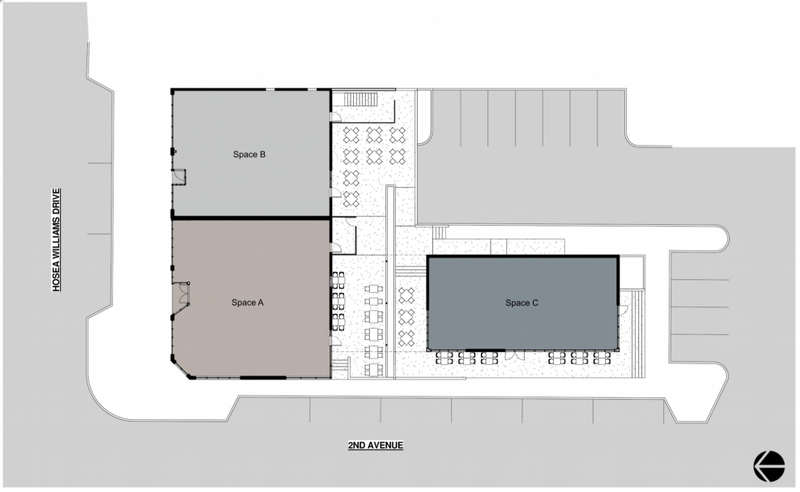 Architect MSTSD Inc. is designing the project, which will include up to 14-foot ceilings and skylights on the second floor. 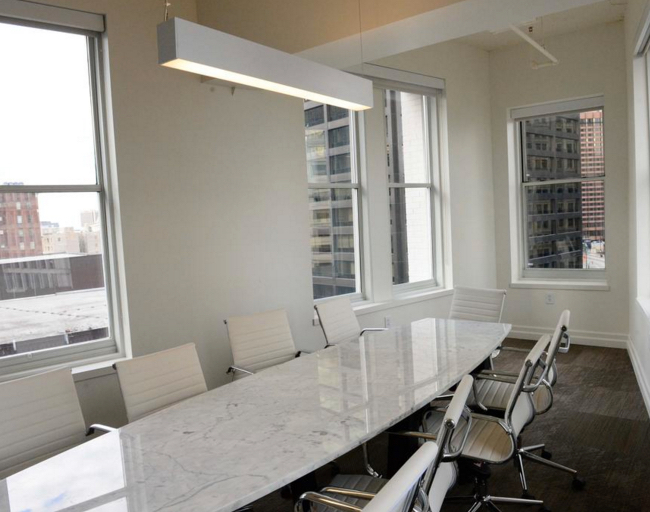 The building, which will be 80 percent leased when Payscape takes occupancy this fall, will feature the remaining loft office space as an alternative to the glass towers on Peachtree Street, Parkside Partners said. 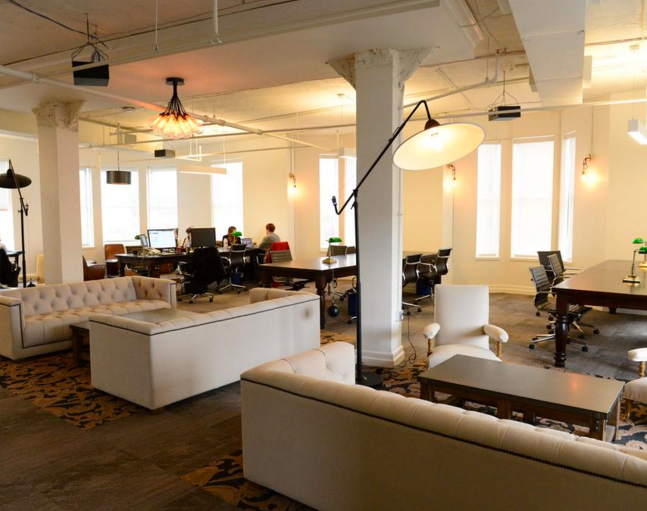 Demand for creative loft office space doesn’t appear to be waning, either. “Given the growth in Midtown multifamily development that caters toward young professionals, you are going to see this trend continue for a while,” Hirsh said. 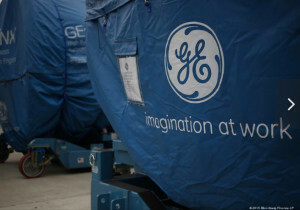 General Electric Co. (NYSE: GE) has picked Atlanta as the North American headquarters of its Information Technology unit. The conglomerate will, over time, add more than 400 jobs in midtown Atlanta as it shutters the Fairfield, Conn.-based IT HQ and consolidates work from around the country. GE Digital Chief Technology Officer Chris Drumgoole will manage the Atlanta operation. GE Chief Information Officer Jim Fowler lives in Atlanta. The majority of the initial 250 jobs being added in Atlanta are related to off-shored work outsourced to third-parties that will be brought in-house. The IT business is part of GE Digital, which applies Big Data technologies to help industrial companies manage assets and operations more efficiently. Big data refers to the crunching of massive and complex data sets that can’t be processed by database management tools. “At GE Digital, we connect streams of data and information coming from machines to analytics, artificial intelligence and machine learning and we are create new outcomes for industrial companies,” Fowler said. 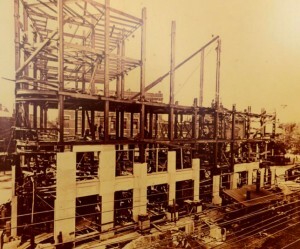 GE is in midst of its largest transformation in 100 years, Fowler said. “By putting software and analytics together with hardware and machines, we are able to create new levels of industrial productivity never possible before,” he said. GE is considering 10 buildings around Georgia Tech for the IT hub, Fowler said. The company is likely to take temporary space in the city in the interim. 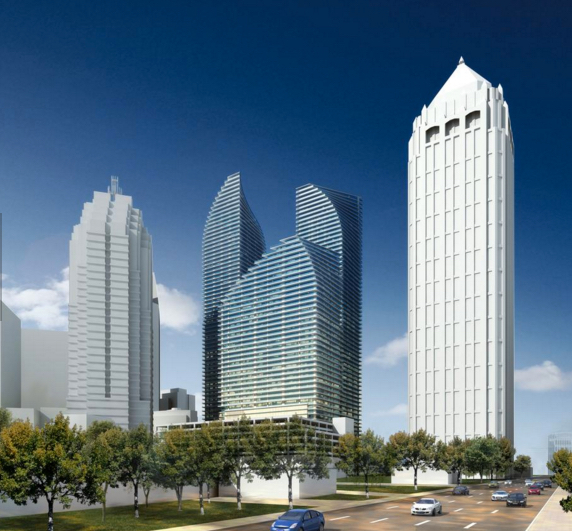 One site could be Coda, a 750,000-square-foot office tower planned for Tech Square. That building, which will be anchored by Georgia Tech, is targeting companies who work on Big Data technologies, and would benefit from the in-house 40,000-square-foot data center. Coda, however, would not be ready until early 2019. 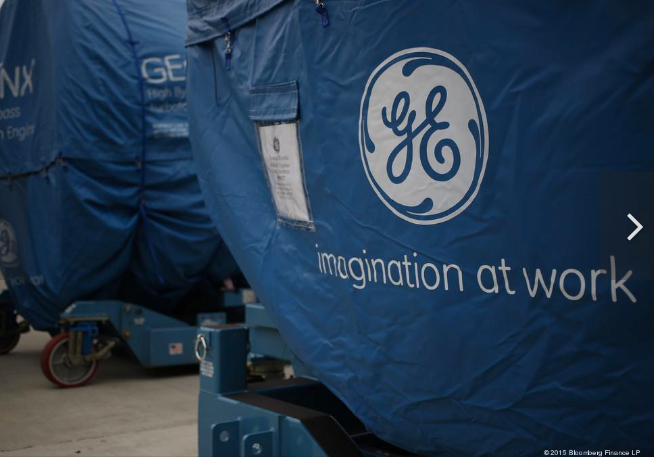 For GE, anchoring a big data hub in Atlanta makes sense. The Internet of Things hinges on a host of technologies including wireless connectivity, sensors, cybersecurity and data processing. As a telecom hub dating back to the days of BellSouth, Scientific Atlanta and Internet Security Systems, Metro Atlanta has capabilities and talent in those technologies. Startups such as Bastille and NexDefense — which protect Internet-connected devices and industrial equipment from cyberattack — have emerged in the city. GE considered Atlanta for its global headquarters before settling on Boston. After 45 years in Atlanta, Post Properties Inc. is building its first apartment project downtown. Atlanta-based Post (NYSE: PPS) is breaking ground today on a 438-unit apartment building it calls Post Centennial Park, which will be in walking distance of two downtown MARTA stations and the Atlanta Streetcar. The $96 million project will include units that average about 808 square feet and roughly $1,620 a month, the company said. Ten percent of the apartments will be designated workforce housing, with rents averaging about $1,090 a month. In a statement, Post CEO and President Dave Stockert said the project reflects the ongoing downtown Atlanta renaissance. 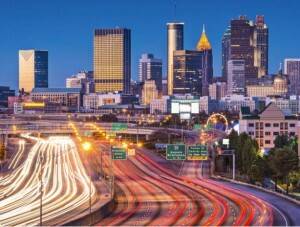 Since the recession, downtown has emerged as a stronger center of tourism and entertainment, and Georgia State University has continued to expand throughout the area. Post also maintains an important shift in residential development that started several years ago just after the recession ended. Since then, apartment developers have concentrated most of their new Atlanta projects in dense urban areas such as Midtown or Buckhead or neighborhoods including the Old Fourth Ward where people can live and work next to the Beltline. The areas are usually in walking distance of transit and near amenities such as shops or restaurants. Post is building its project near the Civic and Peachtree Center stations but also tourist destinations such as Centennial Olympic Park and Philips Arena. 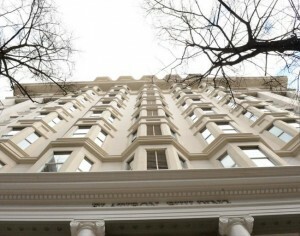 Post and developers such as Paces Properties Inc. have bought into downtown’s potential to generate apartment demand, especially as Georgia State University enrollment grows and more students want to live downtown after graduation. Land in other parts of the city is also becoming more expensive, potentially making downtown a more affordable option for developers seeking projects in dense urban settings. 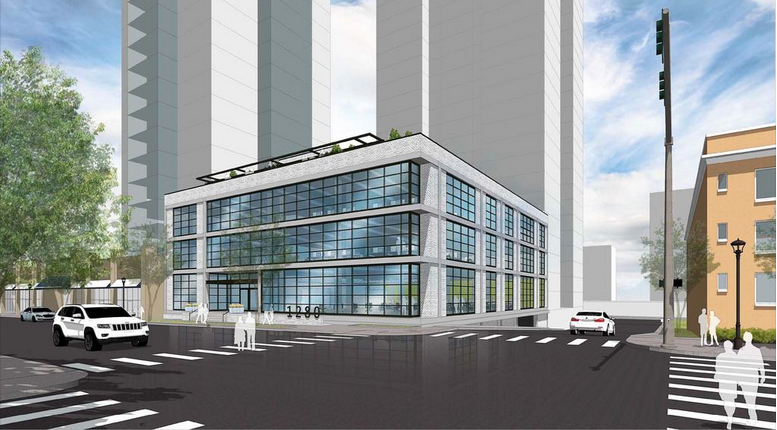 Parkside Partners, known for its loft office projects across Atlanta, plans a $12 million overhaul of a forgotten 3-story building on West Peachtree Street — which happens to sit amid nearly $1 billion worth of planned development. Parkside Partners has reached an agreement with the building’s owner, Providence Bank, to buy and redevelop the property, which stands at the corner of West Peachtree and 16th Street next to the former Trump Towers site. Parkside Partners will call the project 16th Station, and renovations would begin once the developer lands a tenant to anchor the 40,000-square-foot building. The redesign, led by architect MSTSD Inc., would aim for a building with a character and feel like those in the Westside Provisions District. Parkside Partners joins other developers embracing the adaptive reuse trend, as what vacant land remains within the intown Atlanta neighborhoods continues to climb back to pre-Recession prices, and construction costs for new buildings soar well over $400 a foot. Rents in existing trophy buildings, meanwhile, are rising to some of the highest levels in years, forcing more tenants to consider less expensive alternatives. Parkside also likes all the projects planned on the northern end of West Peachtree. Consider that MARTA is seeking developers for its mixed-use project at Arts Center station, at 15th and West Peachtree. Nearby, MetLife has assembled more than eight where it’s planning a large mixed-use development. Next door to 16th Station, AMLI Residential is developing a tower on a 1.8-acre site at 15th and West Peachtree Streets. And, several transportation improvements are also in the works, including converting West Peachtree into a two-way street, which could turn the corridor into less of a thoroughfare and create the opportunity for more street-level retail. The Atlanta City Council voted Monday to take the first step toward potentially converting a controversial homeless shelter at Peachtree and Pine streets into a facility for police and fire department operations. 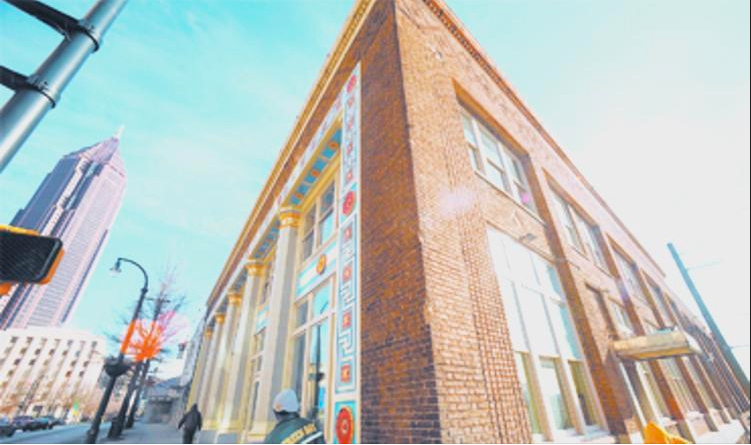 Council members voted 13-1 to spend $50,000 on a feasibility study of turning over the building to the police and fire departments, a process that will include a title search and an appraisal of the property. The city, Central Atlanta Progress Inc. and other parties have been trying for years to evict the Metro Atlanta Task Force for the Homeless from the building. A lawsuit accuses the task force of failing to make payments on the property and of “warehousing” homeless people. However, the Georgia Supreme Court issued a ruling last month granting the task force the right to have a jury decide whether an attempt to foreclose on the property was illegal. Supporters including the task force’s leaders, pleaded with council members before Monday’s vote not to shut down what one speaker described as the largest homeless shelter in the South. One-quarter of the homeless people currently housed there are women and children, task force Executive Director Anita Beaty said. “We need your help to protect the women, children and men who live with us every day,” she said. Councilwoman Felicia Moore, who voted against the ordinance, questioned the wisdom of the city getting involved in an ongoing court case. But Councilman Alex Wan, chairman of the Finance/Executive Committee, said the ordinance simply provides for a feasibility study. Before any acquisition of the property by the city could go forward, the issue would have to return to the council, he said. Indeed, the council approved an amendment introduced by Moore prohibiting any sale of the property to the city without council approval.